In the 21st over of Australian second innings, Smith was trapped LBW by pacer Umesh Yadav and having already blown a DRS call, involving David Warner, the Australians were in a fix to go for another referral. 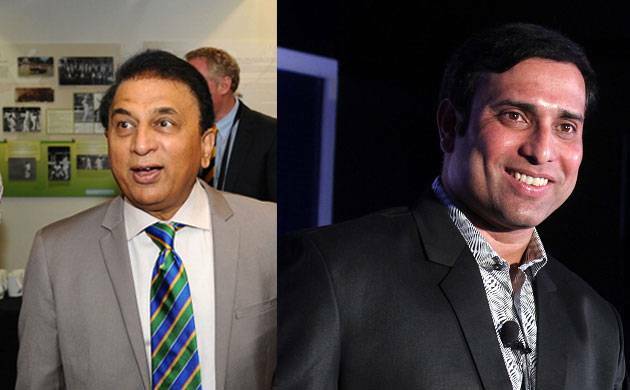 Legendary cricketers Sunil Gavaskar and VVS Laxman criticised Australian skipper Steve Smith on Tuesday for seeking the dressing room's input regarding a DRS referral in the second Test against India, saying it violated the spirit of the game. Smith first turned to the non-striker's end to seek an opinion but sparks flew when the umpires noticed that the batsman had turned towards the dressing room as well to get a clue. The on-field officials immediately intervened to stop Smith but matters came to a head when Virat Kohli too joined the discussion, leading to an exchange between him and the rival captain. Asked about the incident which quickly turned into a full blown controversy, Gavaskar said, "A lot of people was talking regarding this at the commentary box that the Australians looked up to the dressing room to get input from their computer guy whether they should go for referral or not. "It was quite blatant and Peter Handscomb suggested to Smith and then Smith asked the guy at the dressing room. I don't think that was in the spirit of the game. We have to see what the ICC and Match Referee do," Gavaskar told NDTV. Kohli at the post-match press conference said that he has seen the Australians looking upstairs before asking for a DRS. "You have to take a decision on a DRS within 15 secondson your own. I have not seen other earlier incidents but I saw it clearly when Smith did that today, he was clearly gesturingto the dressing room," said Gavaskar further. "If the Indian captain was saying that he has also seen such a thing (seeking input from dressing room) earlier also, then I think the match referee and the umpires should lookinto it," he added. Former India batsmen VVS Laxman and Aakash Chopra have also come down hard on Smith on the issue. "Really disappointed with the way @stevesmith49looked @ the dressing room 2 take a review. Totally against the spirit of the game??" Laxman tweeted. Chopra wrote: "Looking at the dressing room for asignal to take the review??? Now....that's CHEATING." However, Australian great Adam Gilchirst said calling Smith a cheat for what he did would be a tad harsh. "I never played in the review era, but I'd suspect that'sagainst the rules. Not a good thing. Sure he (Smith) will bereprimanded and move on," tweeted Gilchrist.